To help you find the Best Used Car Sites, TopConsumerReviews.com provides you with an in-depth comparison of Autotrader and Web2Carz. When people need to buy a vehicle, many prefer to buy a used - or "pre-owned" - car. Why? You may be familiar with the idea of depreciation, or the loss in value of an item. According to the experts, the simple act of driving a brand-new car off the dealer's lot leads to a depreciation of as much as 11% of the car's value. For that reason, buying a used car is often an attractive option for those customers who don't mind having a vehicle with a few miles on the odometer. Of course, buying a used car also comes with several considerations that you won't find when purchasing a new vehicle. If you want a flashy used car website with lots of images and features, Autotrader may not be what you're looking for. But, if you want to see pre-owned vehicle prices at your local car dealerships without having to give away your contact information, Autotrader is a smart choice. To find your next used car, select the make, model, and price range on the main Autotrader page, and enter your zip code. (Hint: if you only want to see used vehicles, you'll need to click by the magnifying glass where it says "More search options" and then click on the box that says "used" and/or "certified" under the Condition heading). Your results page will show you all of the special offers available at your local dealerships (though they tend to be for new cars only, even on the used car search page), along with all of the vehicles that match your search criteria. You can further sort your results by price, distance, and year, and the left-hand boxes allow you to select exterior colors, trim, and more. Once you select a vehicle, you can see in-depth information such as the VIN, an extensive list of features, warranty details (if any) and more. On the left-hand side of the page, you'll see the contact information for the dealership: phone number, address, website, and, for some dealers, a link to their online chat. You can also email the seller/dealership directly and ask any questions you may have or request contact. Shoppers can get as much information they want before reaching out to the dealership; many used car websites make customers provide their contact details in order to see available prices. If you're still in the research part of the car-buying process, don't miss the links at the top of the Autotrader site. Not only will you find resources for loans and insurance, but the Car Research & Reviews drop-down will help you compare vehicles, see the latest articles and expert reviews, and even calculate what you can afford. Another factor in Autotrader's favor is their reputation. At the time of our review, they maintained an "A+" rating with the Better Business Bureau, along with an accreditation spanning more than 16 years. Customer reviews express a high level of satisfaction with the prices and customer service they received through using the Autotrader site. We feel that Autotrader is a very good choice for those who prefer not to be contacted by local dealerships but still want to see current pricing for the pre-owned car they hope to buy. If you love the automotive industry, you definitely should check out the Web2Carz site. Designed primarily as an online automotive magazine, you can get current all of the hottest trends in the industry, from limited-edition vehicles to reviews of the most "green" cars on the market. Using the Web2Carz site to find your next pre-owned car is easy. Either from the top navigation bar or the area on the left-hand side of the main page, click on the tab that says "Used Cars" and choose the make and model, your ZIP code, and the desired search distance. Your results page can then be sorted by distance, price, year, mileage, and CARFAX report details. Unfortunately, the Web2Carz site does not have the capability of filtering those results further according to desired characteristics like interior and/or exterior color, trim, or drivetrain. When you've found a vehicle that interests you, you'll be able to see any available photos and basic details about the car's features. Instead of putting a list of those features right on the vehicle page, Web2Carz has a "Show Vehicle Options" button that will pop up a list of what's included - we admit that, initially, that wording made us think it would show us all of the options available for that make and model of car rather than the features specific to the car we were looking at. Similarly hidden, you can get a free CARFAX vehicle history by clicking on the VIN. Unlike most of the sites we reviewed, Web2Carz doesn't give you detailed information about the seller/dealer. In order to find out where the car is, to ask any further questions, or to find out if the price has changed, your only option is to fill out the contact form on the right side of the page. We definitely would like to see Web2Carz be more forthright with dealer information, to keep them competitive with other used car websites. We do like that Web2Carz maintained an "A+" rating with the Better Business Bureau at the time of our review, as an accredited business since 2009. Web2Carz's rating could improve if they provided clearer information on the details of the used cars they are presenting as well as the dealerships/sellers offering them. First, there may not be a warranty on a pre-owned car. The typical warranty is three years or 36,000 miles, whichever comes first. So, if the vehicle you're considering has passed one of those thresholds, you may want to pay for a separate warranty to cover any surprise repairs that may happen in the future. Also, you'll want to check the history of the vehicle you hope to buy. It may have been in an accident, had flood damage, or some other incident that may not be visible on the surface. There are a number of free services that allow you to get the full report associated with the car you're looking at. Finally, be sure to check if there are any manufacturer recalls that haven't been addressed with any used car you wish to purchase. Whether you buy your used car from a dealer or from an individual, there's no guarantee that they've taken care of the repairs necessary to fix the problem, which could be dangerous. Shopping online for a used car makes it very easy to see what's available in your local area without having to drive to multiple dealerships and car lots. Most websites for buying pre-owned cars are relatively similar: enter the type of car you're looking for, along with your ZIP code, and get quotes from dealers in your area that may have your vehicle in stock. Information. Will the website give you details that can help you with your decision? Will you be better-informed with respect to the costs of owning the vehicle you choose? Do they offer other details on current trends in the automotive marketplace? Price. Does the site offer you a way to get the best possible price for your car, either through a discount or through a relationship with a network of trusted dealers? Or does it just tell you where to find the car you want while leaving the haggling up to you? Extra Services. Can the site connect you with resources for getting auto insurance, an auto loan, or other relevant products and services? 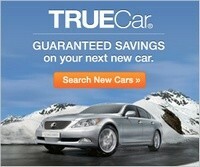 TopConsumerReviews.com has reviewed and ranked the best Used Car sites available today. We hope these reviews will get you behind the wheel quickly in a vehicle that will last for years to come!